At Skidaddle we have one goal!! To help create memories for children. As simple as that. We don't remember that amazing day spent watching TV, or playing on a computer game we had as children, however we all have great memories of the day trips to Blackpool or Brighton, the day Dad scared himself on the roller coaster at Lightwater Valley or Mum became marooned on the boating lake and had to be rescued. 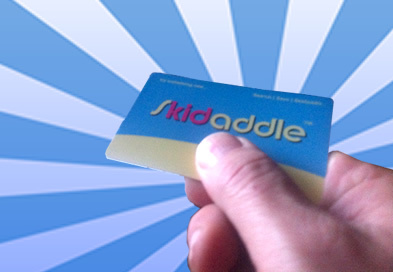 Skidaddle helps you find those great local days out to make those memories alive in each of our children. Use to Search for great kids days out. Type where you want to go into the Search bar, or simply click the Skidaddle button and we'll locate you! Explore all the amazing, fun, educational, exciting, things to do in your chosen area. Keep the kids entertained, keep the parents entertained, keep the grandparents entertained, things to do, and when you see the icon you can even save money too!! Sign up to and start saving today with instant access to all the amazing offers in your area and around the UK.